Super Hero Boy: The simplest things bring me the most pleasure.. The simplest things bring me the most pleasure..
Every time I see Connor in his new Picaflorkids Gabi Romper I just want to savor the moment. There is just something about a simple knitted piece that is just so beautiful and classic that leaves me a bit breathless. I am already convinced that my son is the most beautiful creature on the planet (yeh yeh I know I'm partial and all) but seeing him in that little romper with his beautiful little feet and his usually banged up legs, he is after all a boy, and those little curls that are growing because I refuse to cut his hair again... makes me want to just pause time and keep him with me just as he is right now. I realize he has to grow up at some point, but I wish we could just have a bit more time. Its odd how just small little moments and simple little things like a romper can bring you the most pleasure. 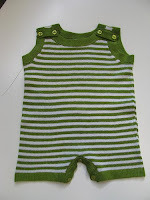 PicaFlorkids offers more than just stunningly gorgeous rompers, they have a whole line of hand knitted clothing pieces that are amazingly affordable. If wish I could hand you one of his outfits through the computer so you could feel how wonderful the fabric feels. Its very light weight and all of the pieces are 100% rayon which gives them almost a silk like feel. I know what your thinking, don't worry they are machine washable and dry able but I would recommend that you use the gentle cycle on cold, and just an air dry. I'm not about to risk Connor's romper just to save a few minutes in drying. All of the items are hand knitted in peru, and whoever knitted Connor's romper deserve a big hug. One small detail I should mention, the creator and designer behind Picaflorkids is from Peru as well! You really must check out the whole collection though. Are those little two piece suits not the cutest thing you have ever seen? A percentage of all of the profits goes to help charities in Peru just for children. I have a Gabi Romper in turquoise/green in 12m to give away to one lucky reader. Its absolutely stunning and would be great on a lucky little boy or girl! Leave a comment on this post. Head on over to Picaflorkids and check out the entire collection. Tell me what is your favorite piece then head on over to the store locater and tell me where is the closest place for you to purchase Picaflorkids! This contest will end July 9th at midnight! I'm loving the julia knit peasant dress in the turquoise mint. That is just so adorable. I'd have to go the Red Balloon in Chicago, Illinois. Thanks. I blogged about this contest on my contest/review blog. Thanks. Am I the first one? Holy cow- that never happens! I love the gaucho set in pink and avocado. The closest store to me would be at the U Village in Seattle. Love that place! I subscribed via email as well. Thank you so much for offering this giveaway. This romper is just so cute. I also love the Guayabera Boy Set. Thank you again and please enter me. Great collection. My favorite piece is the Julia Knit Peasant Dress. Fortunately, I have a store close by that sells it: Babboo in Reno, NV. I love that little ear cap, in white! There are currently no retailers in your area carrying Picaflor Kids. I like the gaucho set in hot pink and avocado. While not the closest one (none in Maine!) to me, I would shop at Mod Mama in Providence, RI as I get down that way every few months. thanks for the giveaway! Oh my goodness I love the Sol Sundress, in the Bubble/White colors. I can pick one up here in town at Glitter Box about 10 minutes away from me in Mesa, AZ! I have been admireing the Aquamarine Erica for a while. Since sadly there are no stores locally, I would shop at POSH on line. I love the julia knit peasant dress. he closest sore to me is Mila in Los Angeles. Such great stuff! I love the Apollo Boy set and can get it at Kissui in Redlands, CA---AWESOME, its so close! I like the Sol Sundress, Bubble/White! Thank you so much for offering this giveaway. This romper is just so cute. I also love the Guayabera Boy Set. There are several stores nearby in Portland Oregon that carry Picaflor. Mako is probably the closest to me. My favorite item is the Sol sundress in hot pink and orange. Im loving the apollo boy set! And OMG there is a store about 15 minutes away that sells this!! No Sugar in Rhinebeck,NY... Im so surprised!! I can never find these types of stores around me! My favorite is the hot pink romper (guess will have to hope coming grandchild is a girl). No stores in OK, would have to go online. I like the kimono shirt in the aquamarine. there are no stores in ohio but there are 2 in michigan and 4 in pa if i wanted to drive that far. The Turquoise Peasant Dress is so cute! I guess Bella Boo is the closet, but it is over 4 hours away. I love the Sol Sundress in a Bubble/White, or the Gaucho set in hot pink/avacado. Thanks for a super contest and the chance to win! I love the Apollo boy set. I can get it in a store in Redlands, CA... Kissui. Thanks! I like the Julia Knit Peasant Dress in Hot Pink and Orange. They carry this line at Austin Baby and Haute Baby here in Austin, TX. Great giveaway, thanks! I love the Emila knit peasant set, and all the dresses. I have a store in St. James New York, not too fa. I like the Kimona dress. I'm in Ohio and it says no locations here. I love the Guayabera bay boys set. I also love the rompers. Thanks for the great giveaway! My favorite is Erica in coral. The closest store to me is in Arlington TX. I like the Apollo Boy Set and I would have to head to River Heights, UT to purchase it! I like the Kimono Dress which I can get at All About Mom & Me in Los Altos, CA. The 'Apollo Boy Set in olive/sky' is adorable! I also love the romper :) The closest store to me would be Keedo in Ann Arbor, MI. the kimono dress is FABULOUS! it's so simple and sweet, with such vivid color. Love the Guayabera Boy Set in Sky/Olive! I can onlly buy at one of the online stores like belliebuttons.net! I love the Kimono Dress in Watermelon/Mint. I can find this little number at ESLH Celebrations in Arlington, Texas. Thanks! I love the Sol Sundress in bubble and white! Very cute! And I'll have to go to Polliwog in Portland, OR to get it! Oh boy! Am I in trouble now...or should I say my credit card is! This is some of the cutest stuff ever! I absolutely adore the Emilia knit peasant outfit and the Julia Knit dress. The Mint/Avo colors are stunning! I like the Apollo boys outfit!! !The store nearest me is in Greenville MS. Which is an hour away,not bad. I love the Gaucho Set. It would be totally cute for either of my princess. I can't buy it in Colorado... so sad! But I can hit Wyoming, Utah, New Mexico or Arizona! 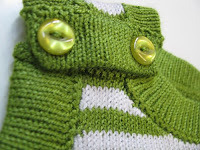 I love the guayabera boy set in sky/olive for my little man! I love the ollie overalls. They are not sold in KS or MO! you always find the coolest things...esp. for boys. so great. anyway, i love the guayabera in sky/olive. i love the breathability of knits. great designs! I like the gaucho set - so blindingly bright for a little girl, who undoubtedly is our personal ray of sunshine! No stores in my area. I'd have to do some traveling a least a couple of states away - phooey. I love the Kimono dress in watermelon and mint. I like the Sol Sundress in bubble/white. There aren't any stores anywhere near me, but there are a couple near my parents, so we're adding this to my daughter's birthday list. I love the Sol Sundress. There are several shops in the Portland area- the closest to me is Nanny B's, in Lake Oswego. I like the Julia knit peasant dress in mint/avacado. And I guess I'll be doing my shopping online because I live in Arkansas and we don't have a store that carries them here. I could stop in Greenville, Mississippi and go to Libby Story & Co.
when I go see my sister in Florida. I love the guayaberas (so cute!) and the overall shorts. Thanks! I looove the Emila Knit Peasant Set. I love the Gabi Romper and the Guayabera Boy Set would be great for fall! The Sol Sundress in Bubble/White is really pretty, also there are no retailers in Virginia, I find that surprising though! Looks like if I want to order, I'd have to order online! Lovely clothing line though, very precious and the green romper is too cute! We are happy RSS readers and e-mail subscribers! The Apollo boy set in olive/sky is so cute. LOVE the Apollo boy set and the gabi knit unisex romper. The closest store would be My Sister Kate in Oak Brook, IL. Thanks for the giveaway! Love it! I also love the Apollo set. I am close to the Kids Shop, the closest place to purchase more. The Kimono Dress is adorable, and I could buy it at Haute Baby. I love the Gabi Romper as well and this will come perfect for my new baby! There are no stores in my state of Georgia so I would have to say an online shop would be my nearest place to purchase these products. Thanks! I like the emilia knit peasant set. The closest place to me is in Lancaster PA. The sol sundress is darling. The closest store to me is ... there is nothing in my state. I'd have to go to Cedar Rapids, IA, or Chicago. Thanks for the op to win one! I love the Ollie Overall shorts! My closest store is My Sister Kate in Oakbrook, IL. I just love the Sol sundress. I love it in every color. The closest place to me is in Ann Arbor and is called Elephant Ears. i love the orange kimono dress and there is a store called My sister Kate in Oak Brook, IL! I can walk there! I'm closest to the Green Onion in Brooklyn, NY and I LOVE the Julia Knit Peasant Dress in Mint and Avocado. Yaya Puff romper in hot pink! But didn't find anything in MD or VD for stores! The "kimono dress" would look cute on my daughter! Wow, I am SHOCKED that someone in my tiny town (about 26,000 people total) carries this line of clothing. I LOVE LOVE LOVE the Emila knit peasant set for girls, and the boys' Apollo boys set. WOW. Simply stunning. I actually really like the romper - too cute- the ollie overalls are also a top contender. No stores in MD- I'll have to shop online! Sol Sundress Bubble/White is my favorite. There are no stores in my state, so I would have to shop online. Everything is so cute!!! The kimono dress is darling. Would love to win!!! I love the Erica Sleeveless Knit Dress with Applique. The closest place is The Red Balloon, 5407 N. Clark St., Chicago, IL. I love the gaucho set! The nearest store to me would be Saturday's Child in San Marino, California. I love the erica knit sleeveless dress. It is very cute. Thank you.